Article written by Christian Vitale and published in FIAT500USA blog. I took advantage of Forward Care when my Fiat 500 Prima Edizione hit 8,000 miles and was due for its first service. My selling dealer was FIAT of Larchmont, whose proprietor is none other than Alfredo Gulla. While I had my car serviced, I had the great pleasure of spending some time with Mr. Gulla. Longtime Fiat enthusiasts will recognize the name from Alfredo's Foreign Cars fame, the oldest Fiat dealer in the country. Mr. Gulla became a Fiat dealer in 1961 and rose to be a consistent top dealer in the country all through Fiat's heydays of the 1960s, '70s and early '80s. 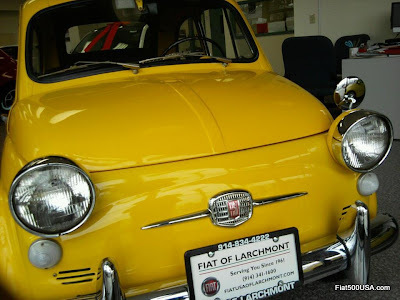 Today, FIAT of Larchmont, located in Westchester County, New York, is still a friendly, family run business and has the distinction of being the only original Fiat dealer. Back in 1961, the requirements to be a Fiat dealer were admittedly a lot easier than today - an initial purchase of just 2 cars got you on your way. Today, it takes a major, typically multi-million dollar, commitment to be a Fiat dealer, and looking at the new Fiat of Larchmont Studio one can see where the money is spent. The facility is beautiful with a clever bit of Italian design featuring additional parking on the roof - reminiscent of the old Fiat Lingotto plant in Torino. In addition to the facility, a major purchase of parts, special tools and training is also required. When I was there in December, servicing was being done next door at the original Alfredo's Foreign Cars location. This was a treat, because the newly renovated building houses a nice collection of classic Fiat memorabilia. Mr. Gulla is one of the preeminent experts on Fiat Group cars with personal contacts that included the late Gianni Agnelli. Posters and displays of cutaway engines keep you occupied while service work is done. 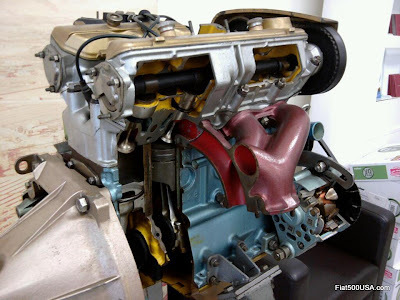 This late 1960s cutaway Fiat Twin Cam engine came direct from Torino. In addition to being a Fiat dealer, in 1967, Mr. Gulla signed on as an authorized Abarth dealer and knows the cars very well. 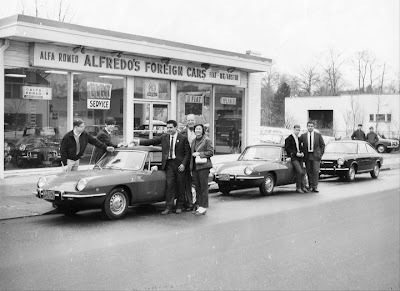 Alfredo's Foreign Cars was also a noted Alfa Romeo dealer and consistently the country's number one Maserati dealer. 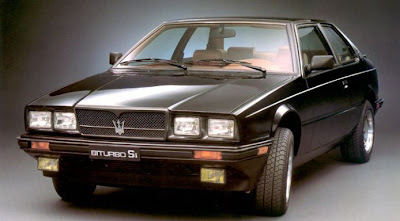 I have a fond memory of visiting his dealership twenty plus years ago and witnessing the blistering takeoff of a Maserati Biturbo - the sound of the twin turbo V6 wailing and seeing the Torsen differential scrambling in vain to put all the power down had people on the sidewalk stopping in their tracks with their jaws open. Something you will not see very often: a rare US Spec 1960s Fiat 500. Note the sealed beam headlamp modification. If you are a interested in a Fiat 500 or are a Fiat enthusiast, and are in the New York tri-state area, you owe it to yourself to visit FIAT of Larchmont. Excitement, passion and enthusiasm are what separate Italian cars from the rest of the mundane mainstream cars. 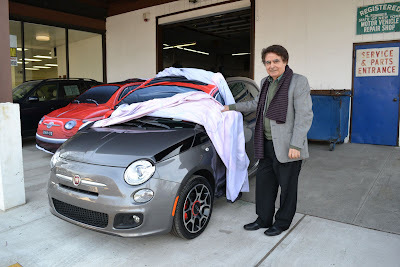 With Fiat dealers like Alfredo Gulla and FIAT of Larchmont, you are in good hands."